The newest Map is a lovely warm one, reminiscent of a pirate’s treasure map that’s been tossed onto and then rescued from a fire. Delicate walnut linework traces each little inlet and fjord. The textured paper with its blackened edges speaks of lifetimes of use, parchment worn and damaged and fingers run over the roughened surface. 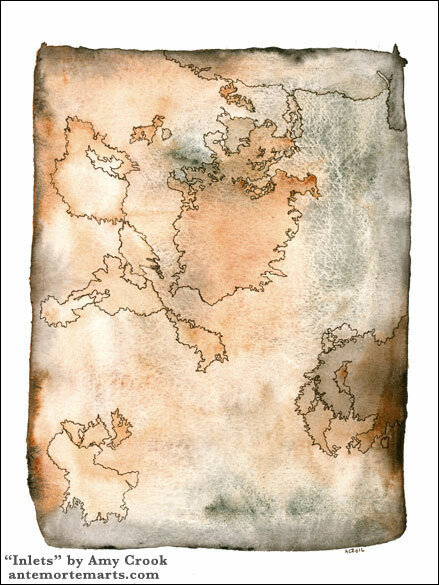 It makes you wonder what treasure might lie at the heart of this map. 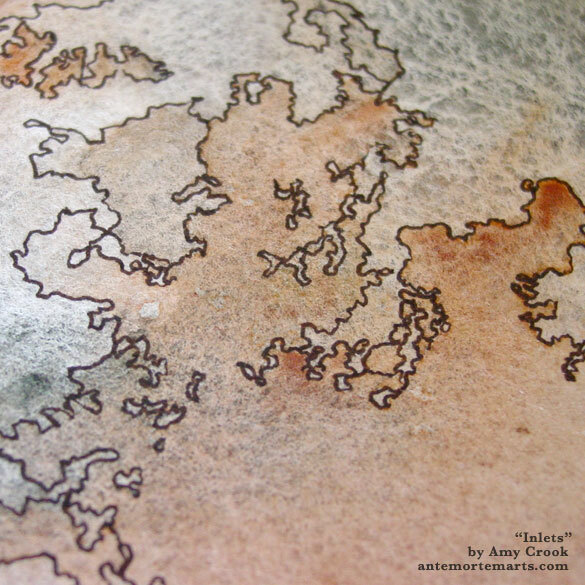 Above, you can see a close-up of the walnut ink tracing the ins and outs of these imaginary coastlines. 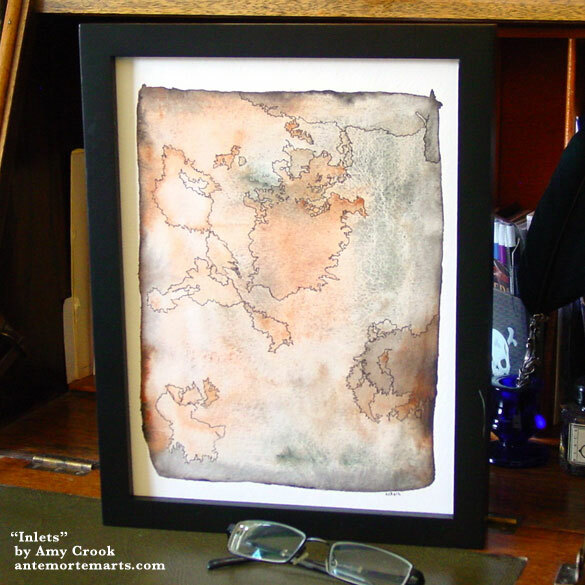 Below, this larger piece is in a nice big frame, just waiting to add a dash of adventure to your life.